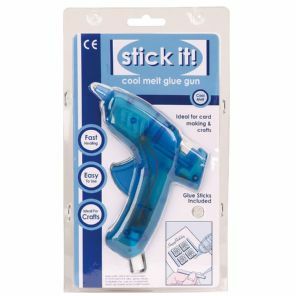 Easy To Use Cool Melt Craft Glue Gun. * Heats up in just three to five minutes. * Retractable stand and heat insulated nozzle. * Can be painted when dry. Complete with fitted with plug and 2 Glue sticks. Further glue sticks are available in our shop.